The latest Robert Cummings sensation. 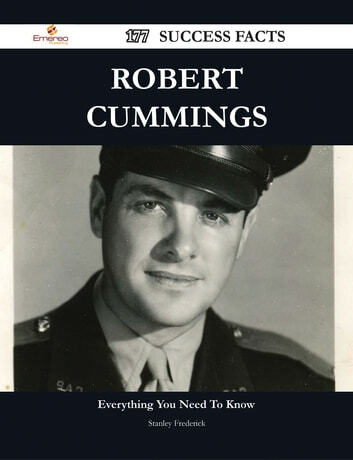 This book is your ultimate resource for Robert Cummings. Here you will find the most up-to-date 177 Success Facts, Information, and much more. In easy to read chapters, with extensive references and links to get you to know all there is to know about Robert Cummings's Early life, Career and Personal life right away.